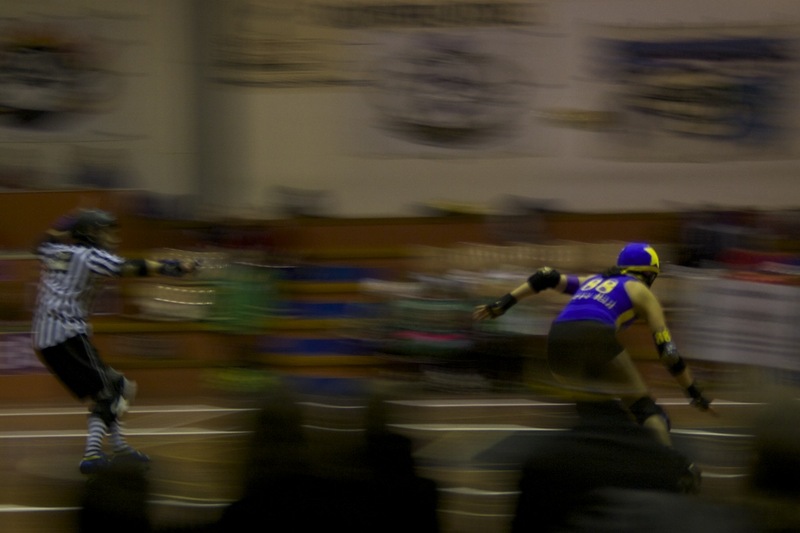 A new year means a new season of roller derby. And a new format and some rules. 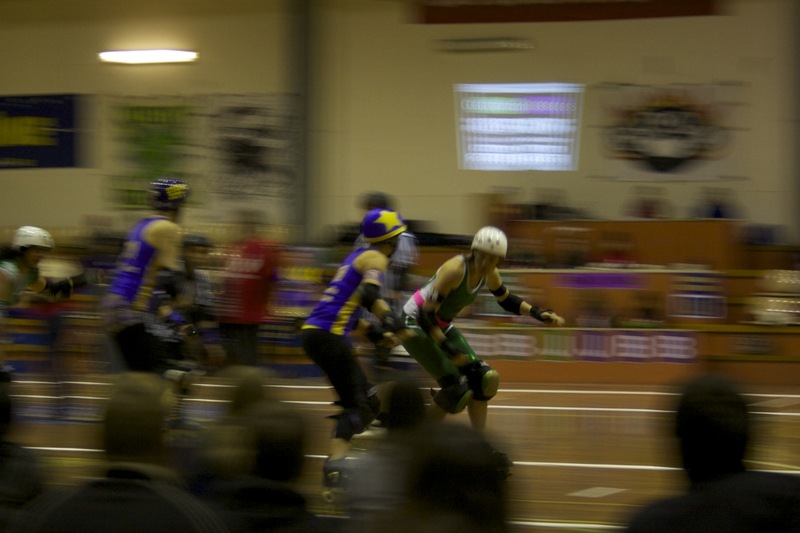 The entire season will be played out with three doubleheader matches, the first of which being the Surly Griffins against the Brindabelters, followed by the Black and Blue Belles against the Red Belly Blackhearts. The rule change was to reduce the sin bin time to thirty seconds, to reduce the disparity of scores when power jams happen. 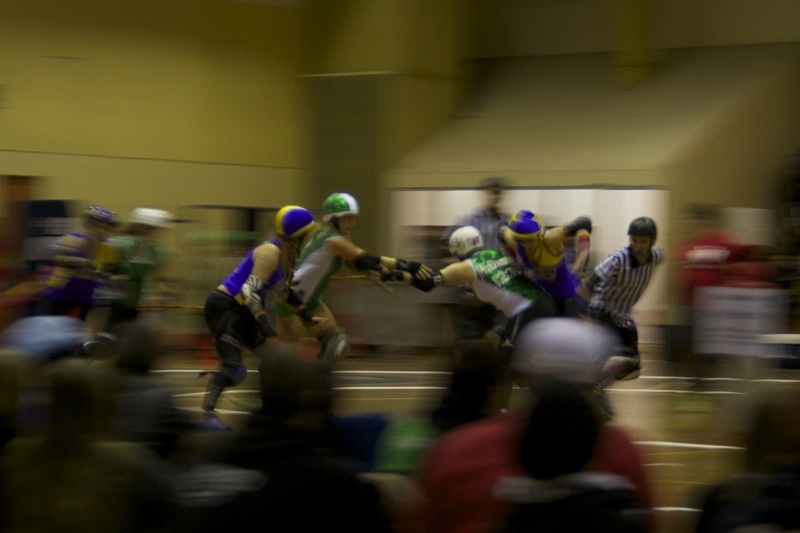 The rule changes have a great effect, allowing the jammers to compete more on the track. Both games had plenty of spills, but the second had much more brawling more energy. That said fan favourites ShortStop and Bambi von Smash’er on the ‘Belles and Blackhearts teams respectively, made the second match the more popular one, and one that culminated in a valiant final bout that silenced the crowd. 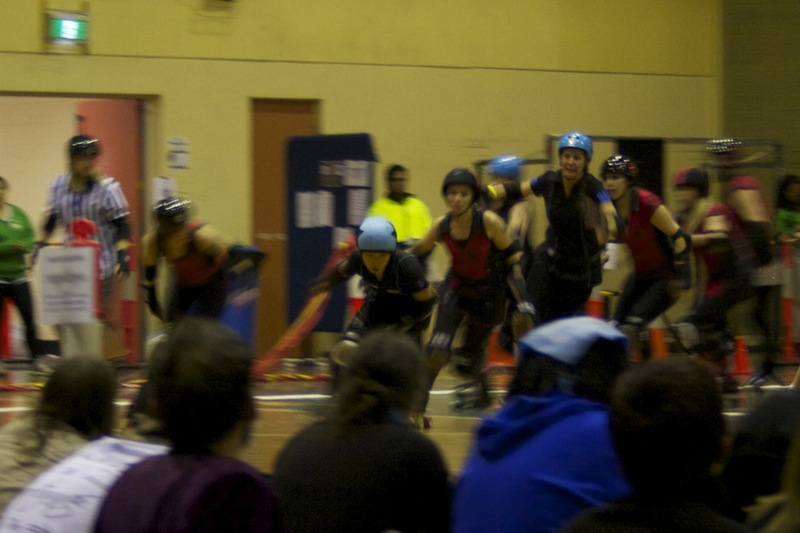 Standout players included Canuckle, Rainbow Spite, Berry Bad, Bohemeth Rhapsody. Plus plenty of duelling between ShortStop and Bambi von Smasher. While I don’t mind the idea of two derby matches in one night, but it’s the dead of winter, and the basketball stadium isn’t the best place to sit in for more than two hours. Anyway, here are some photos. 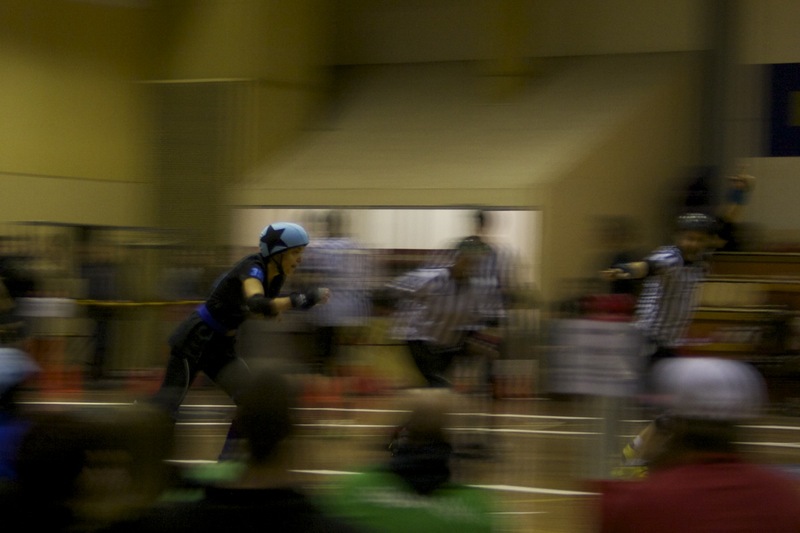 This entry was posted in sports and tagged canberra, canberra roller derby league, photography, roller derby, weekend. Bookmark the permalink.